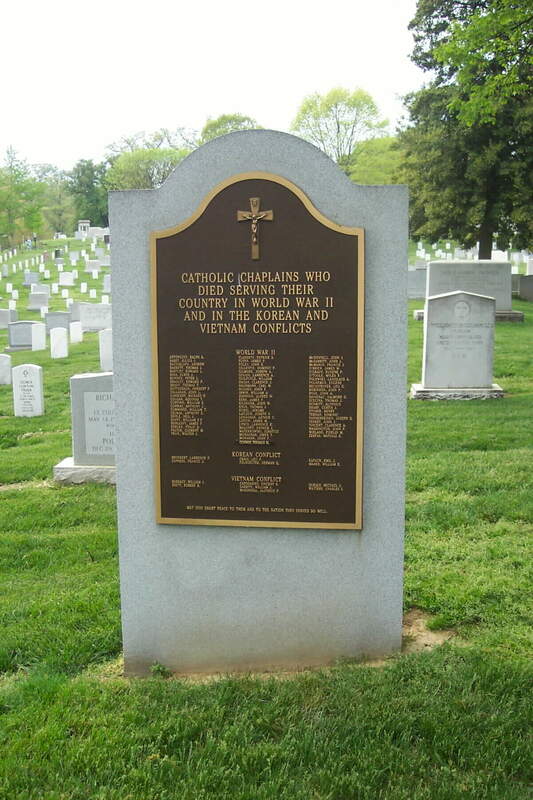 Eighty-three Catholic military chaplains who gave their lives during World War II, the Korean Conflict and in the Vietnam War are honored on a special monument at Arlington National Cemetery. The monument was erected on May 21, 1989, on Chaplains' Hill by the Archdiocese for the Military Services, Silver Spring, Md. Monuments honoring chaplains from all denomination who died in World War I and the Protestant chaplains who died during World War II stand alongside the Catholic Chaplains' monument.